Owing to the wide experience in this domain, we are instrumental in offering Custom Built Gear Unit to our clients. Dynaspede has rapidly expanded its product range with revolutionary high efficiency gear units for a variety of applications. With co-generation and the use of energy-efficient equipment figuring prominently in the agenda of every Sugar Plant, Dynaspede took the lead in offering Magtorq energy-efficient gear drive systems for Sugar Crystallisers way back in 2000. Dynaspede has rapidly expanded its product range with revolutionary high efficiency gear units for a variety of applications. With co-generation and the use of energy-efficient equipment figuring prominently in the agenda of every Sugar Plant, Dynaspede took the lead in offering energy-efficient gear drive systems for Sugar Crystallisers way back in 2000. With over 1400 installations across India and many other places in South-east Asia and Africa, Dynaspede's Crystalliser drives are an integral part of crystalliser specifications in the sugar industry. These easy-to-fit, shaft-mounted Crystalliser drives rated up to 7.5 HP, and for output speeds of 1 to 0.3 RPM, cover 45T to 100T capacities for the standard range of horizontal Crystallisers and up to 300T capacity for vertical crystallisers. 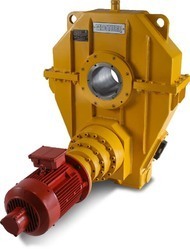 Developed after an in-depth study of typical Crystalliser installations, the Crystalliser drive employs high efficiency spur and helical gearing instead of conventionally used worm gearing. The overall efficiency of Crystalliser drives is better than 90% and the installed motor rating is optimally used resulting in attractive savings in power consumption. 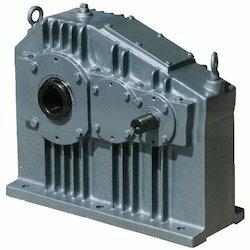 Since the inception of our firm in this domain, we are offering a wide array of Servo Mount Gearhead. These are known for their low standard backlash of the 6-15 arcs per minute. 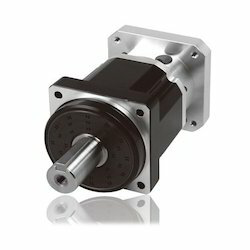 Designed using advanced technology, these gearheads can be directly mounted onto Baldor’s stainless steel servo motors SSBSM-series. Apart from this, our offered gear head is easy to install and offered at very affordable and cost effectiveness.